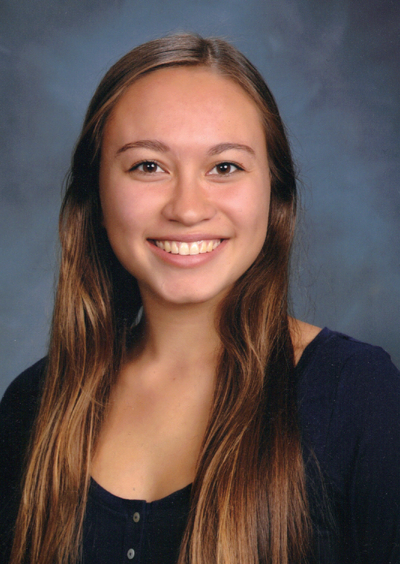 The California Foundation for Gifted Education is very happy to announce Tiyi Christopher as the 2015 Margaret Gosfield scholarship winner. Tiyi's passion is for creating music and singing. In addition to composing and performing her own original work, she is the director of her local youth choir where she aims to provide a safe, positive environment - a home away from home - where their gifts and talents are uplifted. Because of her unwavering commitment not only to her own passion, but to supporting the passions of younger generations, she is the 2015 scholarship winner. Tiyi plans to attend a four-year university in the fall. Without your support, these scholarships truly would not be possible. Thank you for allowing gifted students like Tiyi to pursue their passions. Kalea Power as the recipient of the 2013 Margaret Gosfield College Grant. As a young ballerina, Kalea found her passion in the field of dance. After 13 years of dedication and hard work, she is now an accomplished dancer with many honors and distinctions, including being invited to an exclusive program at the prestigious Bolshoi Ballet Academy in Moscow, Russia. Looking over her accolades and achievements, Kalea has witnessed the tremendous importance dance has had in shaping her growth and development. Dance has become a key ingredient to her core values and identity. Throughout high school, Kalea organized classical ballet and contemporary dance shows to be performed at nursing homes for the elderly residents and staff. In interacting with the residents, Kalea witnessed the effects of neurological disorders like Alzheimer’s. This sparked a desire for her to study the human brain and learn what influences visual arts, like dance, can have on a mind’s development and cognition. As a sophomore, she was selected to study in the UCLA Neuroscience Department as a lab researcher, under Dr. Joseph Watson. Kalea will attend Princeton University this fall and will study neuroscience while continuing her dance career through Princeton’s elite dance program. She is excited to pursue both her academic and artistic goals.